I usually don’t follow trends - I like to carve my own path if that makes sense. I am all about beauty and skincare, with that said, when Korean Beauty was introduced on the American market since 2012 I was really excited. I knew something revolutionary has happened. I think the first KBeauty product I used is a facial mask that I got from my local dollar store - it was a charcoal peel off facial mask. Now fast forward 7 years later, and we can say that Korean beauty is just getting started in the American Market. I am all about their potent ingredients that work well and can help to transform your skin, and how cute are some of these Korean brand packagings though. Today, I want to introduce you to AMPULOGY & SKIN MESSAGE. They are a Korean skincare brand that specializes in AMPOULES. 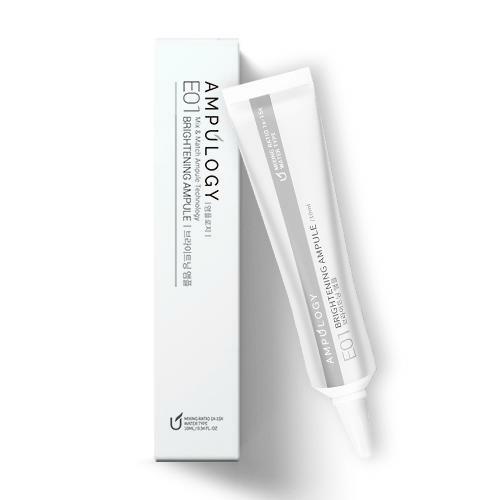 An Ampoule is a supercharged serum that is higher in the concentration of active ingredients usually one to two ingredient is used in an ampoule; Ampoules can be layered or used individually to achieve the desired skincare result. 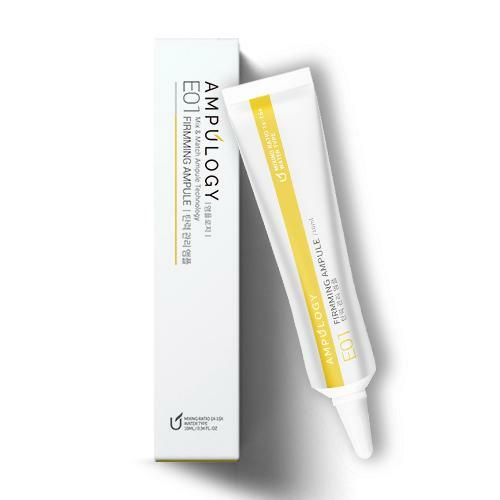 Ampulogy is a brand that has introduced its 'mix and match' line of Ampoules. 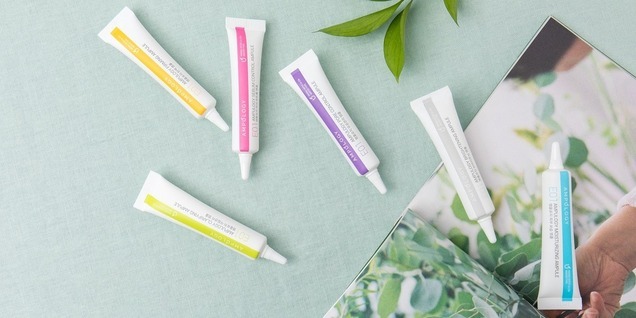 There are six ampoules, and they range from moisturizing ampule, sebum control ampule, firming ampule, pore control ampule, clarifying ampule, and brightening ampule. The Benefits Of Each Ampule. 1. Sebum Control Ampule: Natural and patented ingredients are used for this sebum control ampule. Cleanse your pores for beautiful ”glowing” skin. Made with white willow extract, and salicylic acid, the sebum control ampule helps to prevent your skin from getting clogged and delivers instant exfoliation. 2. Moisturizing Ampule: When the moisture content on the skin is below 30%, our skin gets dehydrated due to water loss. The patented Pentavitin and Desert Plant Root Extract, which is higher in moisturizing ability compared to Hyaluronic Acid is effective in keeping the skin hydrated for upto 72 hours. 3. Firming Ampule: This Firming Ampule has enhancing synthesis of collagen, and phytoestrogen to improve the skin structure. This Firming Ampule has elements of anti-aging from Beta-glucan, components similar to Botox and "Liftonin Xpress" to help fight against wrinkles and fine lines on the skin. 4. Pore Control Ampule: Get smooth and soft baby skin with this Pore Control Ampule. Made with Tea Tree Extract, it has antimicrobial and antifungal benefits to treat the skin of excess Sebum. This intensive treatment has Artichoke Extract to clean and tighten the pores. 5. Clarifying Ampule: Our skin cells turnover every 28 days. This skin cell turnover is essential to keep the skin looking healthy and radiant. This Clarifying Ampule is an excellent exfoliator that contains Papaya Extract and Adley Extract to help skin cell turnover to reveal bright and glowing skin. 6. Brightening Ampule: Use this Brightening Ampule to achieve beautiful, even-toned skin. This Ampule is made with Extracts of the seven White Plants from Alpine, and Peppermint Extract delivers cooling effects. 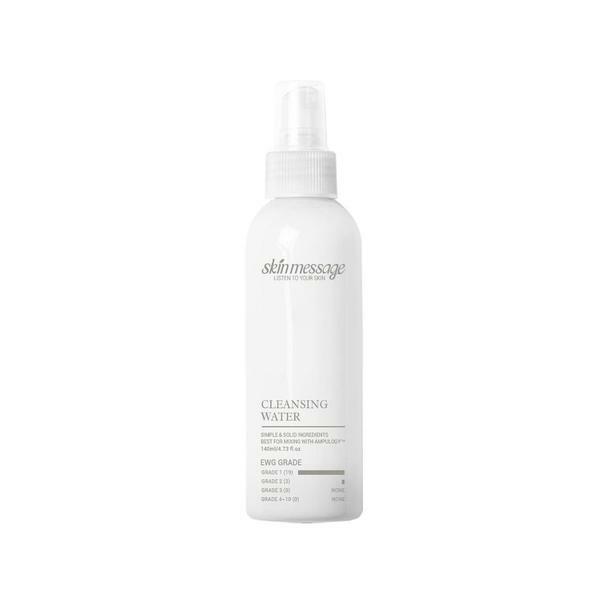 The cleansing water is a refreshing oil-free cleanser. It is made from safe, eco-friendly and natural cleansing agents. Some of the ingredients used in this cleansing water are rosemary leaf extract, citric acid, glycerine, and kelp. The best part of this cleansing water is you can mix some of the ampules into the water according to your skin needs and cleanse your face with the mixture. So for Instance, if you are looking to brighten and tone your skin, then you will mix a few drops of the brightening ampule with the cleansing water before using. If you are looking to firm your skin, then you will combine a few drops of the firming ampule with the cleansing water to treat your skin’s concern. You can use the ampule alone depending on your skin’s condition, or you can mix and match each ampule for broader use. Either use the ampule directly on your skin, or you can mix the ampule in your facial cleanser, facial toner, makeup foundation, facial mask, skin serum, skin essence, and other skin products. The ampules are potent enough that even when you mix them with your skin products, your skin will still benefit. There is a self/home care line of the ampule, and there is also a professional skin care line, so if you own a spa you can get a line of the 'professional care line' and use them as you perform facials and other skin treatment. These ampules come in small packs and are small enough to fit in your carry on if you are traveling. I mix the brightening and firming ampule with my serum, and it goes on smoothly on my skin. The mixture absorbs quickly into my skin and doesn't leave any sticky feeling on my skin. After a few weeks, I saw a noticeable difference in the radiance and texture of my skin. I add two drops of each ampule and mix it with my serum. I mix the pore-control ampule with my makeup foundation. My pores are under control all day and look smooth. The pore control helps with sebum production, and as an oily skin girl, my makeup stays matte and fresh all day. I continue to be amazed at the precise production of skincare products from Korea and how well most of their products work. It's no surprise that #KBeauty has dominated the American market and continues to dominate. If you are looking to try these ampules and cleansing water, please visit https://www.lazada.com.my/shop/eggiomma-the-korea-beauty-care-revolutions and https://shopee.com.my/eggiomma178 to shop and for more information.